Everyday magic! 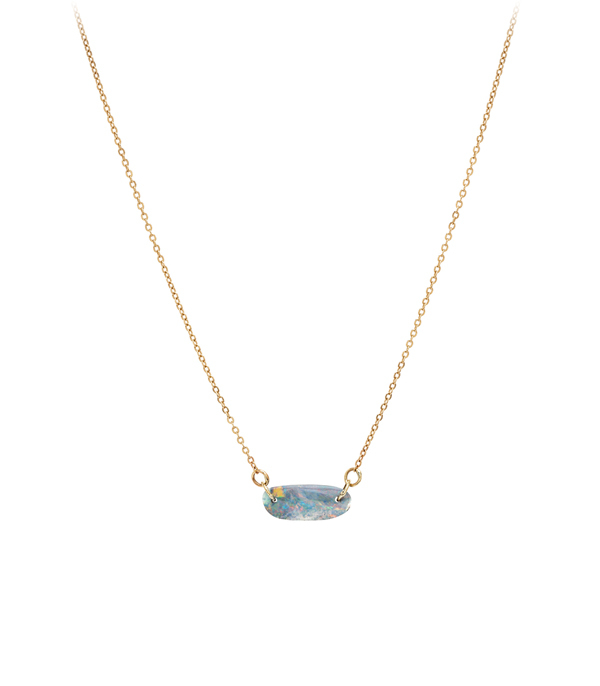 This 14K gold necklace features an Australian Boulder Opal with rich purple and blue play of color, suspended casually from the daintiest 14K gold chain. Layer with a longer chain, or wear alone for a beachy boho look. This piece is perfect for a modern urbanite looking for simple, natural splash of color.